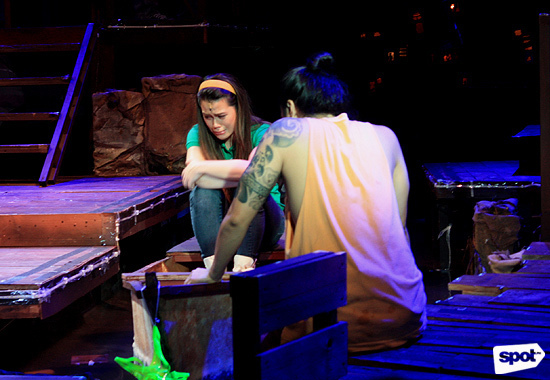 Even Rak of Aegis says so! (SPOT.ph) As a country plagued with monsoon rains for most of the year, it seems that Filipinos are already too familiar with chest-deep flooding, clogged drainage systems, and carmageddon because of the never-ending downpour. 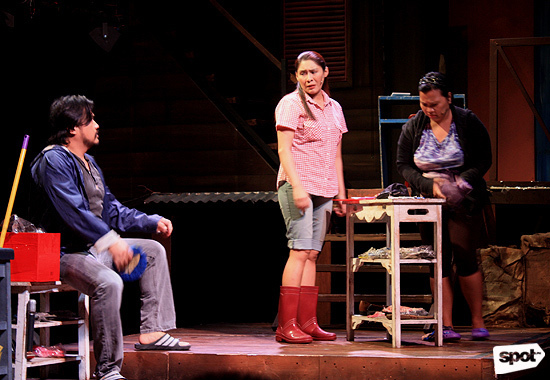 Even local musical Rak of Aegis, which features the songs of OPM band Aegis, can't help but highlight the struggles of a barangay submerged in flood waters for two months. The story's setting might be in fictional Barangay Venizia, but that doesn't mean it's not true-to-life. 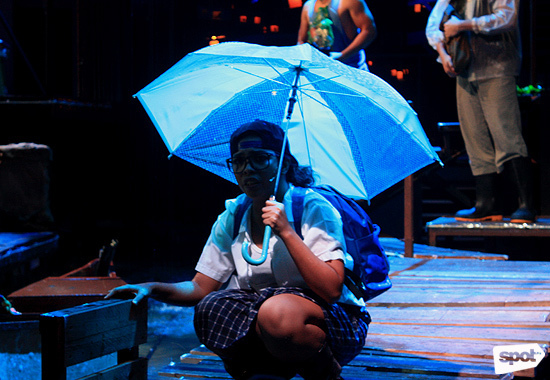 We round up truths about flooding in the Philippines, as reflected in Rak of Aegis. 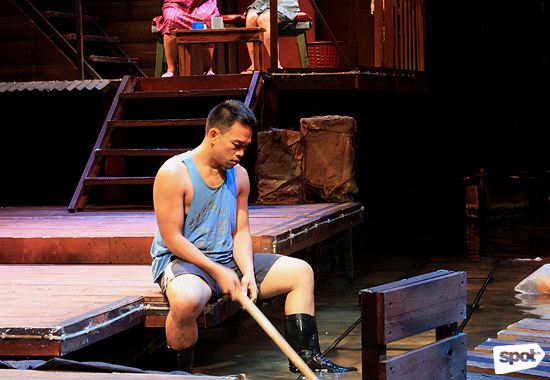 After all, theater almost always mirrors what's happening beyond the stage. 1. For some reason, 30 minutes of rainfall can result in three hours of flooding. Remember the frequent flooding in portions of Boni Avenue and Maysilo Circle in Mandaluyong even when there's no rain? 2. It doesn't matter if you have an umbrella. Your pants will get wet because of the combined forces of a strong wind and heavy rainfall. Also, the flood will not spare your white Stan Smiths. 3. Fares double when there's rain. It doesn't help that drivers everywhere just decide to double their fare as soon as it starts to rain...and traffic starts to get crazy. There's an outrageous surge for Uber and Grab and additional P50 or even fixed rates when you hail a cab. When the water's too deep, your only option is the trusty pedicab driver who'll charge you up to P100 for just crossing the flooded street. The plastic bags, bottles, and straws that you throw wherever you please are back with vengeance. Worse, they block the drainage, causing the flood. Can we stop chucking stuff outside car windows, please? 5. Our creativity comes out. Filipinos are really an innovative bunch. 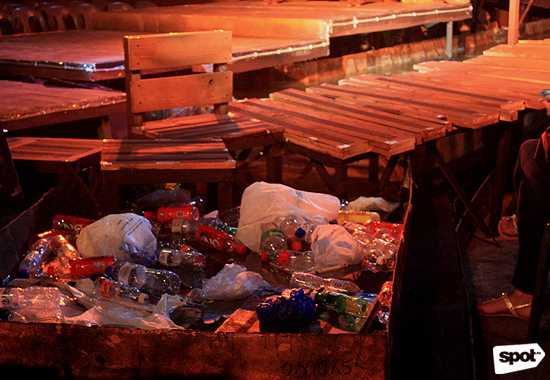 We build makeshift bridges from bottle crates, pieces of wood planks, and rows of bamboo. 6. We also become instant businessmen. The resident tambay becomes a bangkero in Manila's version of Venice. 7. Most of us know what paglilimas means. You have no choice, really, when the floodwater starts flowing into your house. 8. Our appliances are always placed high above the ground. This saves us time and energy. Imagine having to bring everything to the second floor every time the water rises. 9. A politician will always make himself/herself a savior. This is especially true during elections. They'd bring relief goods or an empty promise that the two-month flood will soon subside. 10. Rain boots are part of everyday (rainy season) fashion. The fifth installment of Rak of Aegis welcomes new faces such as Tanya Manalang and Alisah Bonaobra, alternating for the role of Aileen; Josh Bulot as Tolits; Vince Lim as Kenny; Carla Laforteza as Mary Jane; Tricia Jimenez and Joann Co, alternating as Mercy; and Jon Santos as Fernan. Reprising the role of Aileen are Aicelle Santos and Kim Molina. They will be joined by Venizia veterans, including Benj Manalo, Jerald Napoles, Pepe Herrera, Myke Salomon, Poppert Bernadas, OJ Mariano, Renz Verano, Loy Martinez, Shiela Valderrama-Martinez, Sweet Plantado, Kakai Bautista, Neomi Gonzales, Juliene Mendoza, Gilbert Onida, Jimi Marquez, Phi Palmos, Ron Alfonso, Carlon Matobato, Gio Gahol, John Moran, Paeng Sudayan, Roi Calilong, Gimbey Dela Cruz, Abi Sulit, Via Antonio, Gold Villar, Teetin Villanueva, Raflesia Bravo, Jet Barrun, and Gab Pangilinan. It runs from June 17 to August 28, Tuesday to Friday, 8 p.m., and Saturday to Sunday, 3 p.m. and 8 p.m. at the PETA Theater Center, 5 Eymard Drive, New Manila, Quezon City. 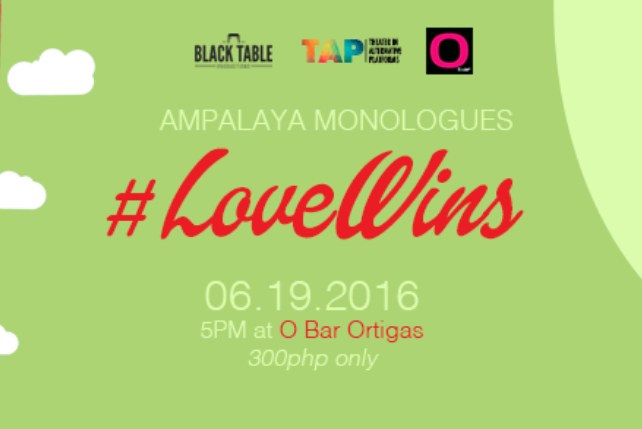 Tickets (priced at P800 to P1,800) are available at Ticketworld. For more information, visit PETA's website.